In his memoirs The Wheaton I Remember, Edward “Coach” Coray (Professor Emeritus and former Executive Director of the Alumni Association) recalls his days as an undergraduate student at Wheaton in the 1920s. He reminisces about his early athletic endeavors and attempts to locate the advertised athletic fields. 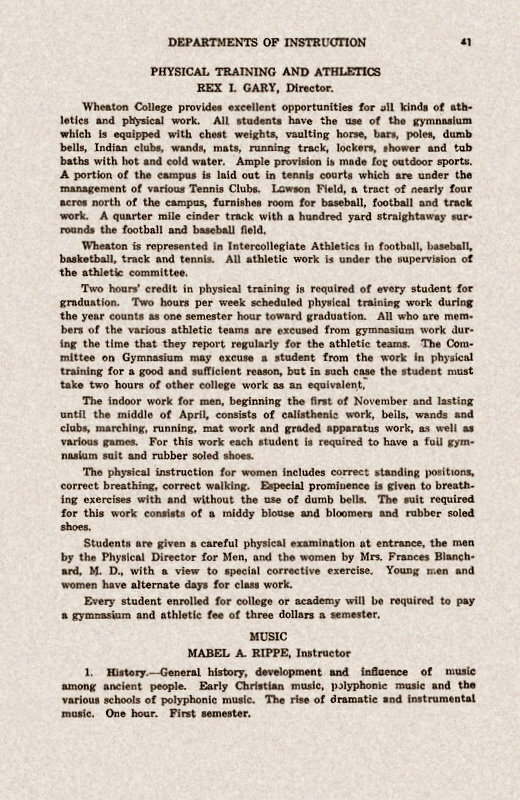 Intercollegiate athletics at Wheaton were always fun and in the late teens and early twenties were carried on without the equipment, facilities, or coaching staffs of later years. I lined up for football equipment in my freshman year. By the time my turn came there were only two shoes left, both for the left foot. But they were real football shoes, so I took them gladly and made the best of it. The way I have often told the story, whenever I got in a game I told the quarterback to run all the plays to the left as I couldn’t turn my feet to the right. This isn’t altogether true, however, as I didn’t get into a game my freshman year. Besides shoes I received stockings, pants, and a jersey. Helmets and shoulder pads, if desired, had to be purchased by the individual. Coming from the coal fields of Pennsylvania, I thought I was tough enough to get along without a helmet. After I got a few indentations in the top of my head from cleats, I rounded up enough money for a cheap helmet. The first day I hit campus I had inquired where the athletic field was. The college catalog had described it as having a football gridiron and a baseball diamond surrounded by a quarter mile track with a 220 yard straightaway. I was directed out Irving Avenue. After walking a few blocks I passed a hayfield with a cow grazing on it. I never did find the athletic field as described in the catalog. 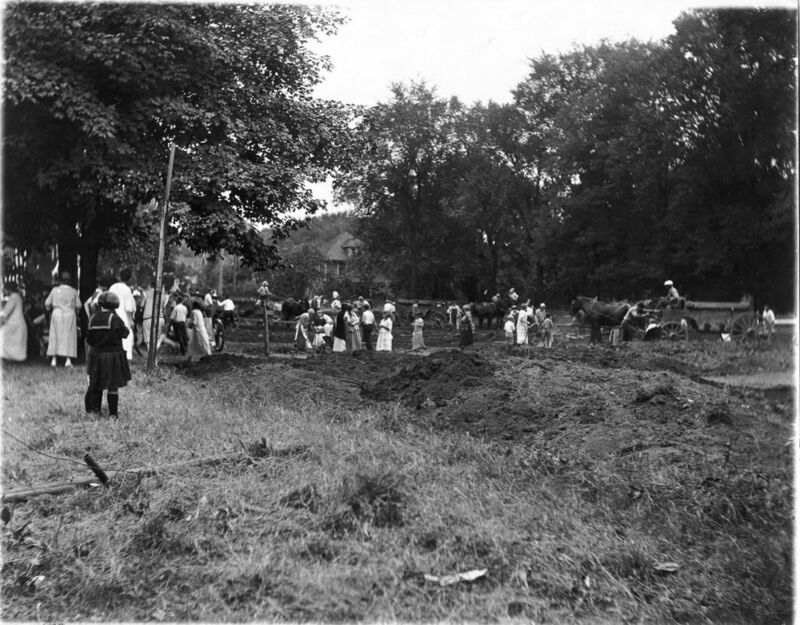 I found out later that Lawson Athletic Field and the hayfield were one and the same. The day before football practice started a farmer was hired to mow the grass. The stubble we practiced and played football on was sharper and tougher than the stones and hunks of coal on our high school field back in Pennsylvania.